Recently, I've been hearing a lot of good things about the L'Occitane Hand Creams. I found a free coupon the other day. I'll tell you more about that at the bottom of this review! My coupon was for the Shea Butter Hand Cream, but they ran out at my local L'Occitane store. The nice lady at the register let me choose any of the other hand creams so I sampled/smelled all of the different scents. They were all quite lovely. I remember that the Rose and the Lavender scents were very true to what you might expect of those flowers. The scents were strong enough to be distinctive, but not so strong as to be overpowering or to burn your nose. To me, this is indicative of high-quality products. I chose the Fleur Cherie, which is a unique soft scent. The English language is rather deficient in the description of scents, so all I can say is that I like it and I don't think I will get tired of it. If you were wondering about the orange blossom in this, I definitely do not smell oranges, citrus, or fruit of any sort. The consistency is "normal" - right in the middle between thick and watery. I wouldn't necessarily say that a little goes a long way - It doesn't spread very easily so you tend to need more. I use a pea-sized amount that only just covers my relatively small hands. I am very particular about hand creams, as I hate the sticky/slippery/filmy feeling that a lot of hand creams leave behind. For example, I tried out the famed Soap and Glory Hand Food Hand Cream in store, a hand cream that is suppose to dry down quickly, but I very much disliked it. 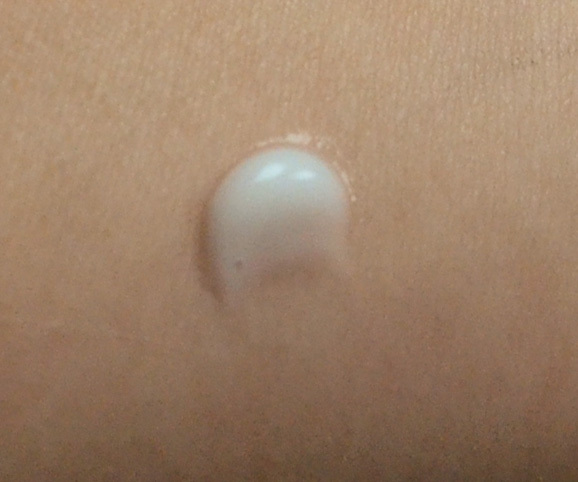 I like that this L'Occitane hand cream isn't ever slippery and most of it dries down within 5 minutes. Your hands still feel soft, but the feeling of a film on my hands becomes so minimal that I don't notice it after the first few minutes. That being said, this is not the most moisturizing hand cream. 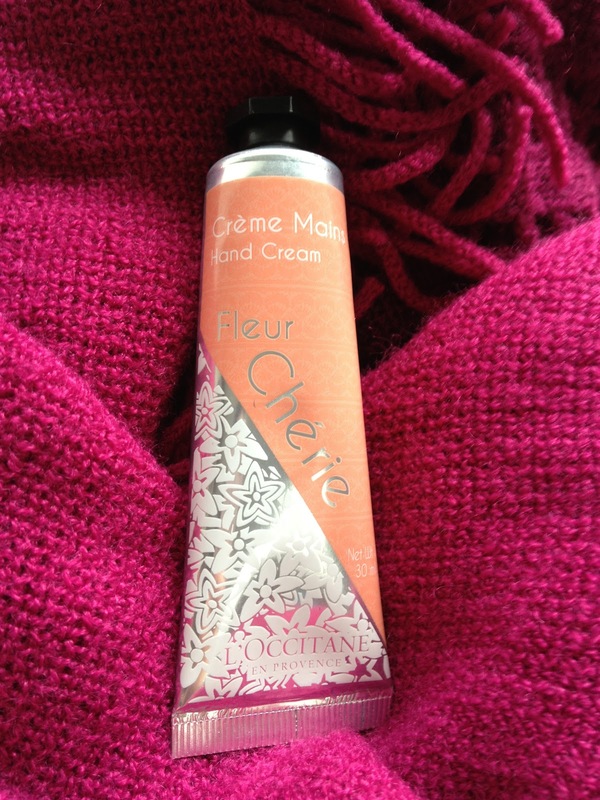 On severely dry, cracked skin, this hand cream won't do much and practically disappears unless you really spot apply. It's best for normal skin and works moderately well for slightly dry skin. I think the packaging is very pretty. I like the flower pattern and I like that the cap is octagonal, which makes replacing the cap very easy, even with lotion on. The tube is suppose to look like metal, but I'm fairly certain everything is plastic. Fleur Cherie and most of the other scents only come in a 1oz travel size tube for $10.00. You can find them online at the website. There are also L'Occitane counters inside department stores and freestanding L'Occitane stores. Overall: There's not really much point in applying this hand cream if you're looking for extremely soft and moisturized hands. For now, I keep it in my bag for whenever I have nothing to do and want my hands to smell good. This lotion will definitely leave your hands in better condition than before, but I'm sure there are more effective lotions out there. Total: 8/10 Extra points for the luxuriousness and the wonderful smell. There is a recurring offer for a free bottle of Shea Butter Hand Cream. I think it is for USA only but if anyone can confirm, let me know in the comments. 3. Follow the directions and check your email. 4. The coupon should come in your email. Bring the email to your nearest L'Occitane USA store and redeem your free hand cream.